Thousands of teachers and professionals throughout the United States and Canada guide students through the Envirothon each year. 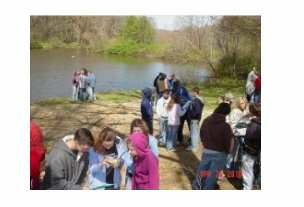 The Envirothon program combines classroom learning with outdoor activities, culminating in competitions at the area level (No rth East Ohio), state and international levels. 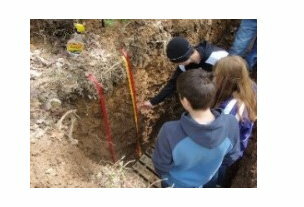 This exposure to nature from a critical perspective and the understanding of human impacts on the natural world provide invaluable lessons, helping students understand ecosystems and our environment. 1. Poor soil structure negatively influences which of the following? 2. Forested watersheds provide many benefits to the ponds and streams in them. Of the following, which is NOT a benefit of a forested watershed? 6. Coyotes have become quite numerous in this area. Which animals make up the largest percentage of the coyote’s diet?